The inspiration for these very sweet, extremely simple cards comes from this weeks Featured Stamper over at Splitcoast Stampers. This week they named “Emily” as the featured stamper, and I chose to “case” her card titled “True Friend“. 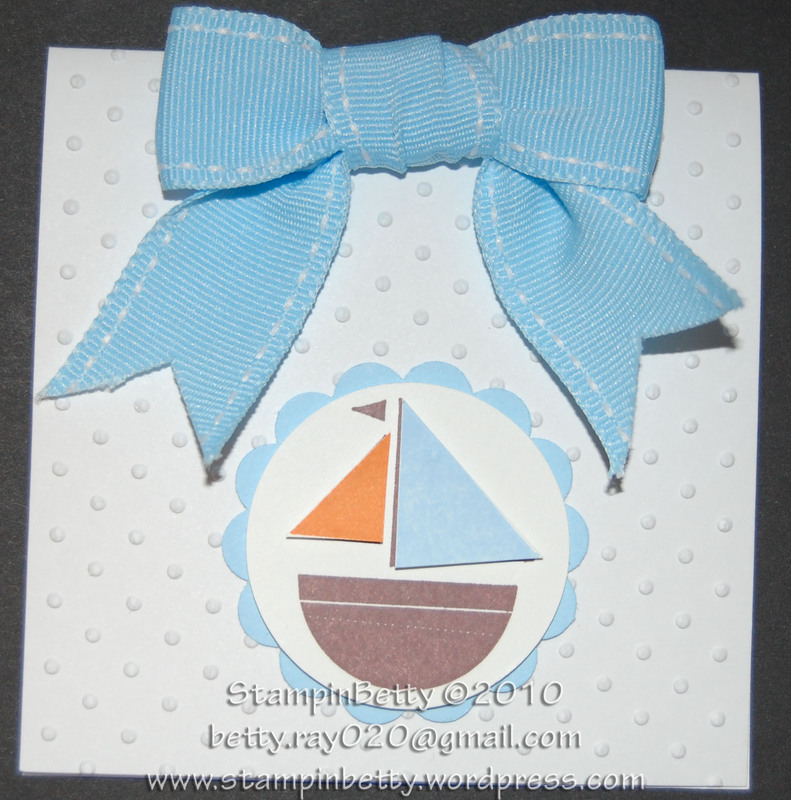 When I saw the simple embossed white background with a cute ribbon on the top, I was off and running. With the 3 cards I made I used a different embossed background on each, various different styles of ribbons, and different stamp techiniques. Yet, each of these cards only takes about 10 minutes to make!!!! And since there are not tons of layers or fancy folds it is very economical, even with the ribbon. Another inspiration for these cards was that Stampin’ Up! is retiring my 2 FAVORITE baby themed stamp sets “Nursery Necessities” and “Cute & Cuddly.” So I just had to use them and encourage you to run over to my Stampin’ Up! site to get yours before they are gone!!! They retire at the end of this month, so get your while you still can…. On my Stampin’ UP! page click the “shop now” button, and then go to the “Last Chance Stamp Sets.” If you were thinking about any of these sets get them NOW, before they are gone forever. A funny story for you to finish off this post…..